Why pay full price for wine tasting when you can follow me to Sonoma's BEST discount two for one wineries? Stop by stop agenda makes it so easy. Spend a Day Wine Tasting in Sonoma.. on a Budget! What if I told you that you could get two for one tastings - half off - at every stop in Sonoma? 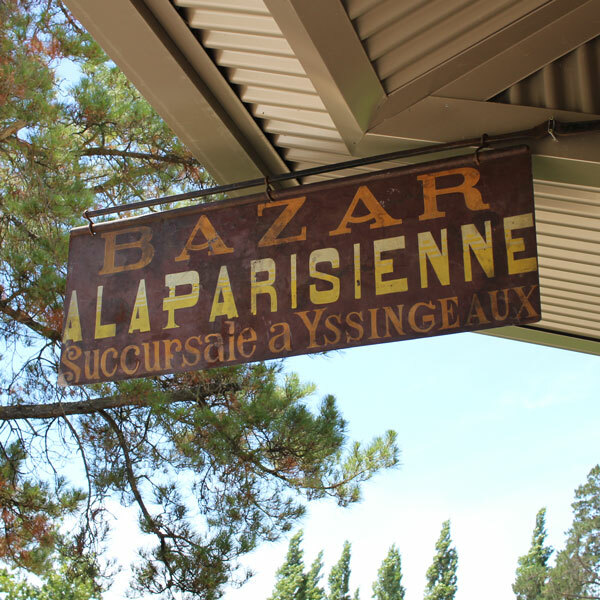 And how about if every stop was a good one with exceptional wines and amazing experiences? Well that's what Local Wally's 2 for 1 Budget Sonoma Itinerary is all about, your ticket to discounted tastings at some of Sonoma's best wineries. I know all of the best Sonoma wine tasting deals and all of the best wineries so don't worry that my budget day planner is going to take you to dumps and dives. No, Sonoma on a Budget looks surprisingly like the Best of Sonoma. Taste in caves, taste with the winemaker, free wine pours, that's what I'm talking about! And to make sure you really have a good time you can email me for free advice and help picking wineries. Got a Question? Email Me for Free Advice! Looking for Sonoma Two for One Discounted and Free Tastings? Forget about coupons and phone apps, just get the Priority Wine Pass for the easiest way to get two for one tastings and free wine. My readers get the card for only $39.99, it pays for itself after two wineries so unless you plan just one stop (crazy talk) the pass is well worth it. Use the pass on the wineries below to get your fair share of free wine. And remember, the Priority Wine Pass is good for a full year and good in both Napa and Sonoma so you can use it again and again. Need help picking out more wineries? Just email me and I'll build you a custom agenda - for free! To Order go to PriorityWinePass.com and use promo code localwally. FOLLOW THIS AGENDA TO EXPLORE THE BEST OF SONOMA... on a BUDGET! This is what I love about Sonoma. Canihan Winery makes some of the best wines in Sonoma, a true small, family run winery where you'll taste his labor of loves inside his barn. No, this isn't a prop, this isn't a new building made to look old, this is his actual barn - flies and all. It reminds you that wine country is agricultural country and that the soil - and the farmer - plays a huge part in what separates a good wine from the exceptional. The experience is a sharp contrast to the Persian columns and giant TV monitors you'll find all over Napa and an essential wine tasting experience for both novices and experts alike. The entire tasting experience is fun, friendly, educational, and the wines so good that you'd better be ready to pop for a few bottles because I defy you to not want to take some home. THE DEAL: Reservations required by emailing Bill. Standard fee is $35 per person but get a two for one with the Priority Wine Pass. A charming tasting room in the Carneros Region where Schug makes some of the best chardonnays and pinots in the valley. 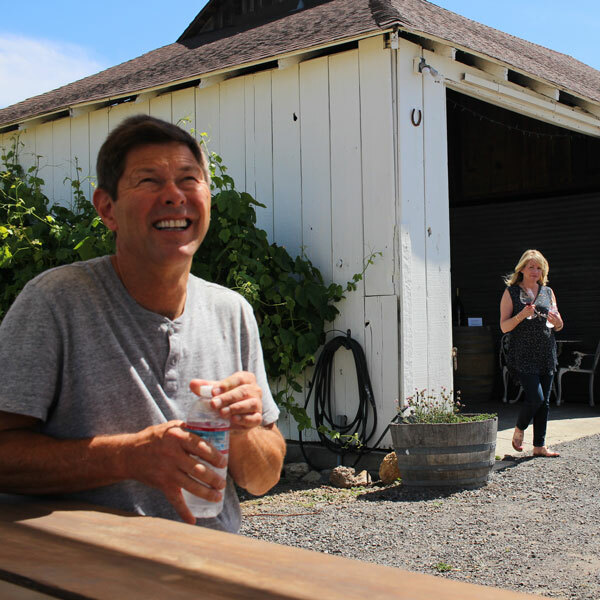 A true family vineyard with strong ties to the history of the valley, a visit to Schug Carneros Estates Winery will delight both your senses and your pocketbook - wines here are moderately priced so bring that cooler to stock up your wine fridge. There's also a free self guided tour of the vineyards should you want to learn more about the vineyards and wine making. And yes, you can even picnic here assuming you planned ahead and brought a lunch. And the view? Did I tell you about the stunning view? Nearby is Cline Cellars and Jacuzzi Family Vineyards, two wineries worthy of a visit - and yes, they both offer two for one tastings with the Priority Wine Pass. THE DEAL: No reservations required, get a two for one with the Priority Wine Pass, save $20. Sorry guys but I need to talk to your spouses and girlfriends right now and tell them about Cornerstone Sonoma, a wine country marketplace with restaurants, boutique shops, tasting rooms, and some of the most stunning gardens you might ever see, courtesy of Sunset Magazine. This isn't some sort of corporate strip mall, this isn't a tourist trap, this is a lovely detour to that will make your significant other very happy and that should make you happy. See, I'm looking out for you! Chateau Sonoma is the centerpiece here, a French inspired shop with plenty of home collectibles. 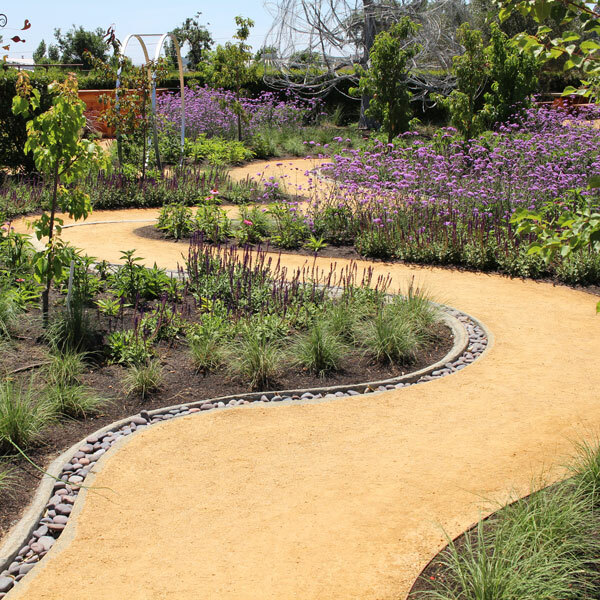 But for me the Sunset gardens were the highlight, incredible and creative gardens that should delight the inner child in you. Best yet, admission is free and there are plenty of events, from cooking demonstrations to live music to seasonal dinners. Trust me, this is a good stop, the hardest thing will be to not spend the entire afternoon here. STOP 4: Kivelstadt Cellars: Free Tastings and More! The wines at Kivelstadt are fun and approachable and so is the experience here. Jordan Kivelstadt is a young guy with a new approach to wines, including offering wines served by the tap to keep costs down while maintaining its high quality. Fill a growler of wine, take it on a picnic, what's not to love? While other wineries might be stuffy and pretentious you'll find the staff at Kivelstadt to be light and lively and the experience educational and entertaining. THE DEAL: Flash your Priority Wine Pass and get two for one tastings, a $15 value. Kivelstadt has everything from red blends to Sauv Blanc's, all of them easy to sip and love. STOP 5: Deerfield Ranch: Cave Tastings for Everyone! That's right! If you've done your research on Napa and Sonoma wine tasting then you know that most wineries charge premium rates to taste in the caves. But not at Deerfield Ranch Winery where all of the wine tastings take place deep inside their caves, a wonderful experience that could be the highlight of your trip. The winery itself is beautiful, set among the trees with beautiful views of the valley. Walk past the production area and into the caves past the barrels, breath in the smells of the grapes fermenting in the oak, then enjoy a taste their stunning wines, everything from sauvignon blanc to cabernets. Looking for a unique place to stay in Sonoma? Join their wine club and for a fee you can stay at the Guest House. THE DEAL: Normally $15 to $25 per person to taste, get two for one with your Priority Wine Pass. No reservations required. STOP 6: B Wise Tasting Room: Incredible Wines! 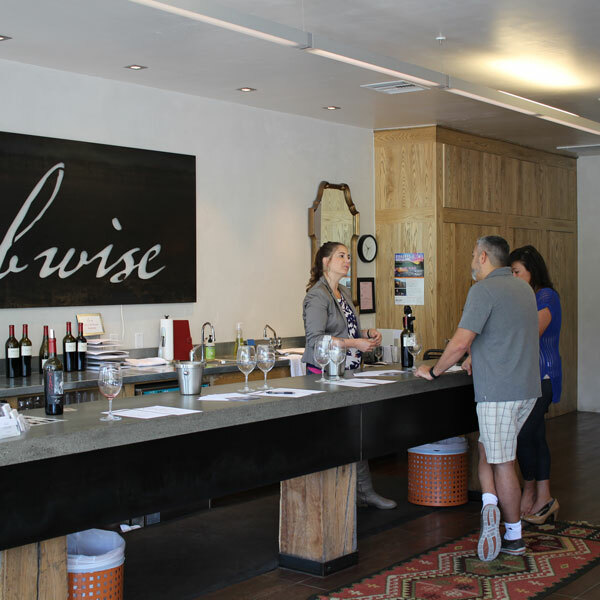 The B Wise Tasting Room is so low key you might be tempted to skip it but if you do you'll miss some of the best red wines in Sonoma. Serious wine lovers will want to inquire about the premium cave tastings, a luxurious experience on the winery property, but those on a budget or shorter on time will enjoy the samplings at the tasting room. Expect big, complex reds and a fun and inviting atmosphere. Nearby within walking distance is Muscardini Cellars, Manzanita Creek and Ty Caton, three great stops that all offer two for one tastings with your wine pass. THE DEAL: No reservations required at any of these wineries so just pop in and show them your Priority Wine Pass to get the two for one's. Save $25 per person at each stop. Since you are already in the Glen Ellen area you might as well stop and stay for dinner at one of the best restaurants in the entire Napa and Sonoma area, Glen Ellen Star. 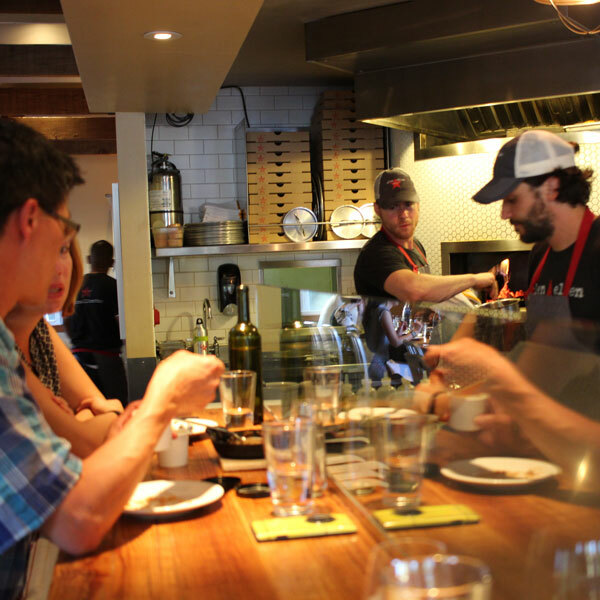 The chef and owner, Ari Weiswasser, has some serious cooking credentials, including two years of experience from The French Laundry, and it shows. Every dish I've ever had here has been a delight and the seats at the bar watching them prepare the food is like watching a live version of Top Chef. There are two dining rooms, the room on the right separate from the kitchen and much more reserved. For me I like the hustle and bustle of the main dining room - ask for that when making reservations. OPTION: If you want to head back towards the hotel but still eat in Sonoma then head back to the plaza to The Girl & the Fig, one of Sonoma's signature restaurants and one of my favorites. Want to See More Two for One Wineries? Click Here for the Complete List. Do you really want to pay full price for wine tasting? Don't be ridiculous! I love the Priority Wine Pass and so do hundreds of my readers. Get 2 for 1 deals, special offers, unpublished promotions, and VIP treatment just by flashing the card, not only in Sonoma but Napa and beyond. Local Wally readers get the card for just $39.99, a killer deal that pays for itself after two stops. Buy it Now with promo code localwally at prioritywinepass.com. Don't come to Sonoma without it! Local Wally's Sonoma Tourist Guide ©2017. All rights reserved. Please drink responsibly. Local Wally does not advocate drinking and driving or over indulgence. Have fun, but be safe! I respect your privacy. Seriously, I do!